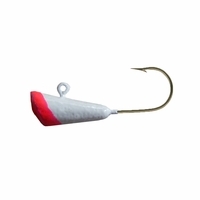 Since we've discontinued out 1/8oz Fast Taper Shad Dart, we've got some plain jigs that were not tied. Available for a limited time. Made with clean lead and Mustad gold hooks. Once they're gone, they're gone!